Vitoria Mattos, besides being an exceptional actress is a very intelligent woman. She understands that being in the film industry is a difficult life because there are no job guarantees and usually no steady paychecks streaming in. So, what did she do to solve this little problem in her life? She became part of a collective, which creates and produces new projects, which allows all the members to be active in the industry. Such a great idea! Of course, Vitoria knows all the pitfalls that can pop up at any time in the film business because she has been acting since she was a kid. She’s seen all the ups and downs in the entertainment field and she was smart enough to avoid them by banding together with other actors and filmmakers to make their own dreams come true and their own projects materialize. She has been trained by some of the best acting teachers in Brazil at the famous theatre school in Rio DI Janeiro, O Tablado. She also completed the Acting For Film One year conservatory at the New York Film Academy in New York City. She went there on a scholarship! 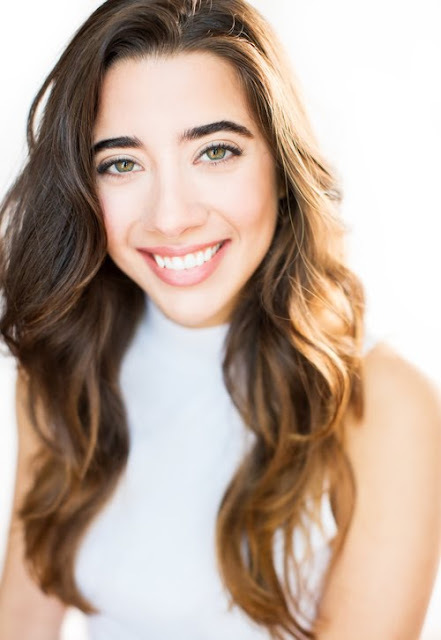 She has performed in numerous films and it seems as though Vitoria never has a minute to rest because she’s always on a movie set or reading a script. Recently, she was the lead in the terrific short film Worth It, directed by Cheyenne Pasquer. That creative movie went on to be an official selection at the Cannes Film Festival. Vitoria played the character Emilia in Worth It and during the shoot she discovered different ways of accessing the character. She admits that the character was one of the most difficult parts she has played but the whole experience opened many emotional doors and pathways for her to understand how to build a character from the inside out. She realized early on that she had to be protective of Emilia and that led to the awareness that she also needed to be truthful with her. Acting is not only a career for Vitoria – it is a way of life. When she acts – she learns more and more about humanity and about herself. She can see the motives and the whys and the how’s of people’s emotions through each character she takes on. She has several projects coming up and we can’t wait to see her in them.